RIVIERA MAYA, MEXICO – Located along 81 miles of the Mexico Caribbean coastline, Riviera Maya is one of Mexico’s hottest tourism destinations – a favorite amongst domestic and international visitors. 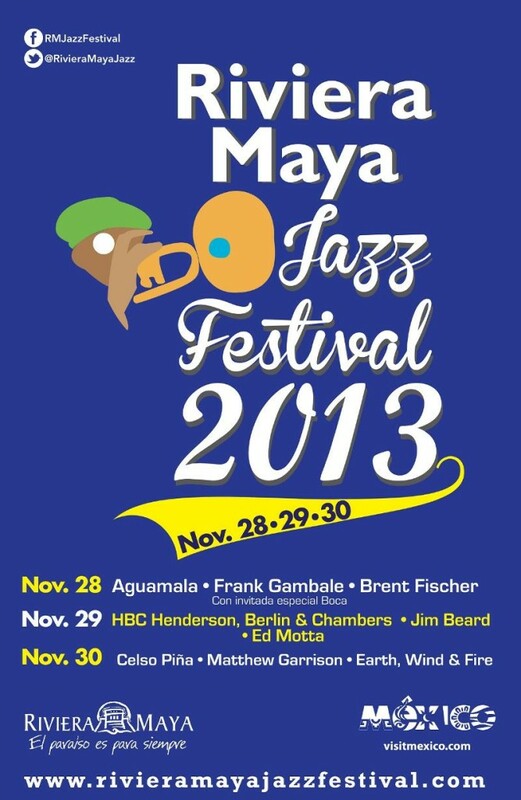 One of the top ten jazz festivals in the world, the Riviera Maya Jazz Festival will celebrate its eleventh year from November 28 through 30, 2013. The event will be held on the white sand beaches of at the Mamitas Beach Club in the heart of Playa del Carmen. Throughout the years, the event has come to capture the heart and the imagination of music lovers everywhere. Many jazz legends and Grammy winners have participated in the festival, including George Duke, Four Play, Sergio Mendes, Herbie Hancock, Ivan Lins, David Sanborn, Earl Klugh, Armando Manzanero and Sacbe, among others. Aguamala: A talented group that combines four different music personalities including rock, funk, jazz and regional Mexican music. The fusion of these sounds creates a progressive improvisation of a beautiful and chaotic Mexican sound that can be enjoyed by all. Aguamala has shared the stage with Wayne Shorter, John Scofiled, Screaming Headless Torsos, George Duke, Tower of Power, Tim Berne, Herble Hancock, Marcus Miller, and others. Frank Gambale, Grammy-winning guitar virtuoso with special guest, Boca. Gambale exploded on the Los Angeles scene in the mid-80s. His meteoric rise to fame is a testament to his passion-powered playing, a style Rolling Stone Magazine called “ferocious!” Frank Gambale’s power, character and virtuosity are immediately recognizable. Innovator of the Sweep Picking technique, now part of the guitar lexicon, has earned him a place in the history books. Gambale’s live performances are exciting and masterful. Brent Fischer: The group will bring the evening to a magnificent close with their combination of Afro-Cuban and Brazilian rhythms. The group was originally founded in 1978, led by Brent Fischer and named Clare Fischer and Salsa Picante. Hailed by jazz critics and fans alike, Clare Fischer, as a Latin-Jazz group has appeared in dozens of albums worldwide. The group’s world-wide fan base displays immense loyalty, rare appearances of the band are attended to great extents. Scott Henderson: From Palm Beach, Florida, Henderson shows undeniably unique and skillful guitar composition abilities. He formed Tribal Tech, one of the most reputable fusion bands of the 1990?s, in 1984 with bassist Gary Willis. Henderson’s musical genius is surely to account for his success. Dennis Chambers: Chambers is well-known among drummers for his impressive technique and speed. The Chambers hallmark encompasses style and improvisations that can be matched by no other. 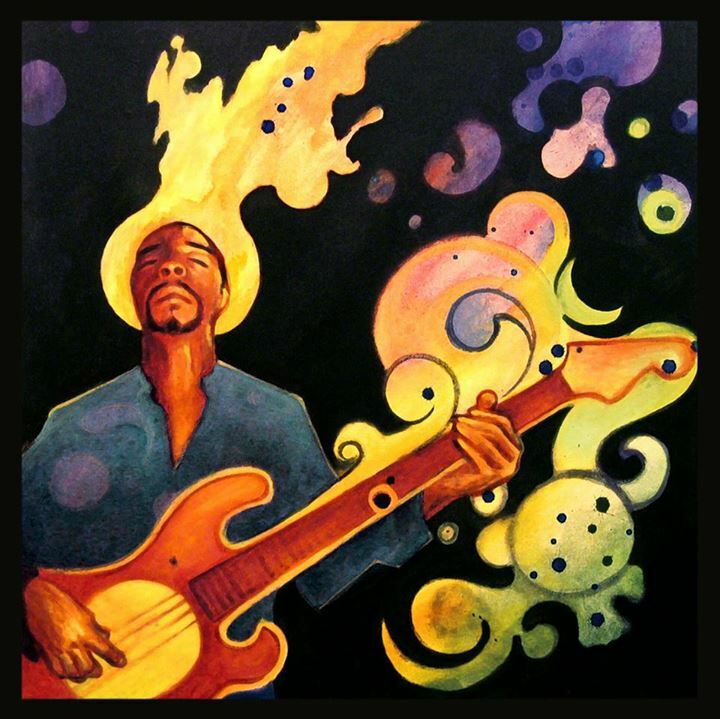 Chambers has played a variability of musical genres, but is most notable in jazz-fusion, funk and Latin. Jeff Berlin: Electrical bass legend, Jeff Berlin, will join Chambers and Henderson on stage. Known for his smooth and lyrical interpretation, Berlin is considered by many as the greatest electric bassist in the world! As a master of composition, Berlin continues to inspire bassists worldwide to learn the language of his art. Jim Beard: Beard has traveled extensively around the world on tours with big-name artists. Some of those artists include Steely Dan, Pat Metheny, John McLaughlin and Wayne Shorter. Jim also has more than 100 works contained in recordings of such artists. Beard has been nominated for seven Grammy Awards and won one in 2007 as a guest artist in “Some Skunk Funk” (Randy and Michael Brecker). Ed Motta: Motta will close out the day with his creative Brazilian music vibes. The eclectic work of Motta encompasses a perfect balance between commercialism and experimentation. It collects the most varied elements that run the spectrum of black music, from jazz to soul, naturally including funk, disk, the bossanova, and much more. Celso Piña: A renowned singer, accordionist and composer. Born in Monterrey, NL, Celso Piña has more than 30 years of experience in the musical realm. Most recently, he has experimented merging hip-hop, reggae, rock, pop, and other genres. He has worked with many artists including Lila Downs, Café Tacuba, Control Machete, Benny and Alex Lora. He has performed worldwide in France, Denmark, Holland, Germany, Sweden, Polan, Italy, Columbia, Argentina, and more. Matthew Garrison: Garrison studied piano and bass in Rome, Italy. In 1989, he received a full scholarship to attend Berklee College of Music in Boston, MA. Here he began his professional career with the approval of musicians like Gary Burton, Betty Carter and Lyle Mays. Matthew moved to Brooklyn, NY in 1994 and has since performed with many artists including Herbie Hancock, Whitney Houston, Jim Beard, Bill Cosby and Paul Simon. His latest projects are “Shapeshifter Live 2010- Part 1, Matthew Garrison Solo” and “Garrison Jazz Productions Music Center”, a website that offers a modern approach to music education. In 2012, Matthew opened ShapeShifter Lab with his business partner Fortuna Sung. The business is fast becoming one of the most popular and influential concert halls in modern New York.